Everybody's fighting everybody else. Again. Sometimes we wish tech firms would compete using music and dance - imagine Steve Ballmer doing Gangnam Style. But then reality comes crashing in and we find ourselves watching people sing about BlackBerry apps. The video, starring several senior RIM execs, puts us in mind of the captain of the Titanic: "An iceberg, you say? Time for some soft rock!" We're very grateful, then, that other tech firms are competing the old-fashioned way, by trying to make better products - and this week's line-up includes brand new entries in the form of the Nook HD and HD+ from Barnes and Noble. We have to admit, we're impressed: the Nook HD is a seven-inch, heavily customised Ice Cream Sandwich tablet with a stunning screen, while its bigger brother, the HD+, is a rather nice nine-incher with a similarly pretty display. The best bit is the price tag, though: at just £229 for the 16GB version, if the Nook HD+ is as good as it looks it could turn out to be a big seller. While the HD+ is clearly gunning for the iPad and the ten-inch Kindle Fire, the £159 Nook HD is going for the jugular of Google's and Amazon's seven-inchers. Google for one doesn't seem to be scared of a fight: just hours after the Nook HD was announced, rumours of a super-cheap sixty quid Nexus began to circulate. While Google's fighting off rivals in the tablet space, it's also having a good old barney with Apple: in the wake of the iOS 6 maps debacle, it's emerged that all of the problems are Google's fault. Well, something like that anyway: Apple wanted Google to provide turn-by-turn navigation, Google demanded conditions Apple wouldn't meet, and so Apple gave Google Maps the boot long before its mapping contract had actually expired. To Apple, Google was saving the best mapping features for Android, putting Apple at a disadvantage, but in the short term at least that means the iPhone's maps aren't as good as they could be - and the Maps app isn't the only problem being reported. We're hearing tales of a "purple halo" camera glitch, scratches and light leaks, and while some concerns are the usual griping you get with any new gadget release there's no doubt that Apple's getting a much rougher ride than it usually does, especially over the iPhone 5's lack of NFC. We asked for your suggestions for the iPhone 6, and the results make interesting reading - especially if you're Samsung, whose Galaxy S3 phone just happens to have many of the features you've been suggesting. However, while Samsung's been placing attack ads targeting potential iPhone 5 customers, it hasn't had the easiest week itself: this week it emerged that multiple Samsung handsets including the Galaxy S3, S2 and S Advance were vulnerable to "killer code" that could remotely wipe their handsets. 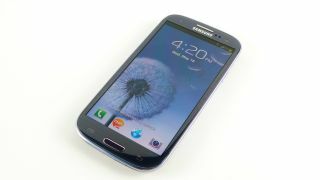 Samsung has identified a solution and made it available as a software update. So is the iPhone 5 better than sliced bread, or is it worse than an RIM rock video? There was only one way to find out: give it to our very own Gareth Beavis and force him to write the most exhaustive review imaginable. "Is the iPhone 5 a good phone?" he asks. "Of course it is… a smart evolution of a decent handset is always going to be a quality device. But is it enough to warrant the fervour of the claims of record sales and 'the best thing to happen to iPhone since iPhone'?" It's a good question, and the answer is "er...". It's the best iPhone ever, but it comes with flaws: an ageing OS, the problematic Maps and a hefty price tag. It's good, then, but is it good enough to take the top spot in our chart of the best mobile phones in the world today? We'd hate to spoil the ending, so here's just a little clue: no. You'll have to read the article to find out why - and what two phones we think are even better.